Florida Senator Marco Rubio has seen what a state like Florida has endured with its notorious revolving door rehabs and wants to help other families avoid future pain. Now he’s calling out the entire rehab industry in an effort to hold those in charge accountable. Now that Congress has stepped in to help the Trump Administration combat the opioid crisis proposed earlier this year, one part of that plan was to expand access to treatment across the US. But with an expansion on access comes the threat of exploitation to users in the worst time of their life. Rubio is set to introduce a bill in the coming weeks that would block drug addiction call centers from financial gain every time they refer distressed loved ones to an unverified treatment center. And companies or treatment centers that had solid track records of exemplary service would be rewarded. 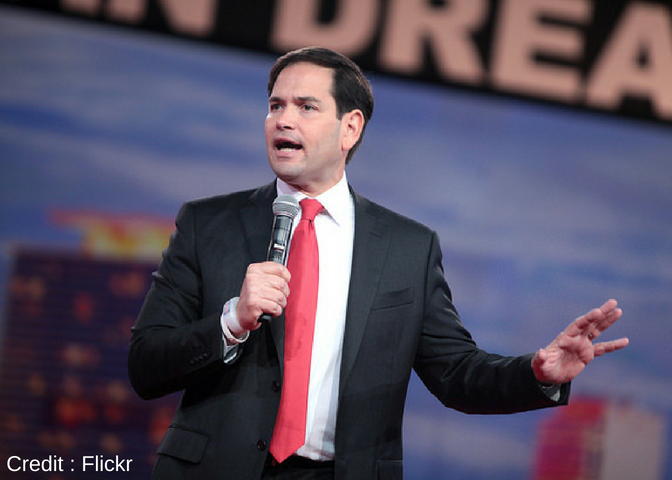 Rubio says Addicts are treated like cash cows with the current system in place now. As it stands, certain call centers are able to receive a small commission for their referral to treatment centers with every caller sent their way. Kickbacks can range from $50 to a few hundred dollars for the call centers, and the treatment center can charge up to $40,000 in insurance claims. Following treatment, patients can be sent to sober living homes that can charge thousands of dollars for routine labs and tests, collecting on the insurance money as well. Its argued that companies that participate in this practice may not have the patients best intentions in mind, and with addiction being such a serious health threat, this is unacceptable. The companies that run call center ad are given a kick back regardless of the result of their treatment. Kickbacks for government run insurance plans like Medicare or Medicaid are already illegal; this new bill would involve the private sector and extended an anti-kickback provision already in place. “The federal government has not done enough because this problem continues to be enabled and exacerbated by well-intended federal policies,” said Palm Beach County state attorney Dave Aronberg. Aronberg has been investigating the drug addiction recovery businesses in South Florida affectionately known as the Florida shuffle. Under the Obama administration, drug addiction was classified under “essential health benefits, making private insurance companies bound by law to pay out for people with drug addiction. The makes patients nearly endlessly valuable because of the payouts to the companies serving them. The new law would make public records of any red flags linked to sober living homes or rehabs, and give police the power to investigate and close down homes that are not a safe recovery environment for vulnerable addicts.